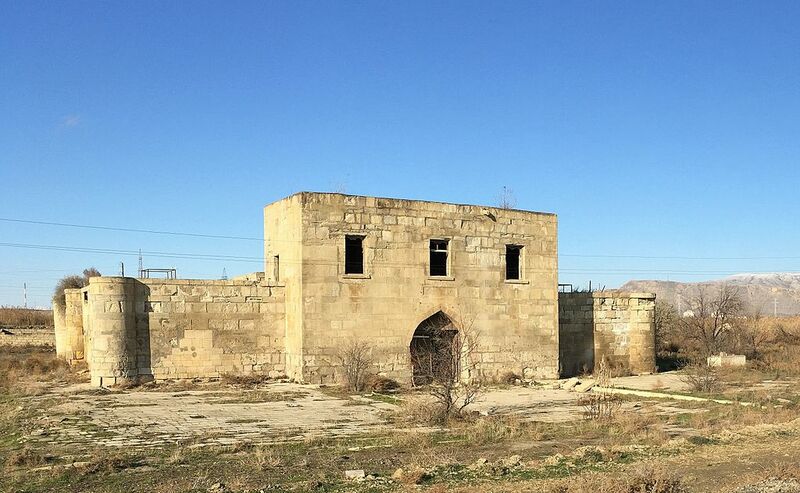 Sangachal Caravanserai is a historical building of the Middle Ages, Azerbaijan. It is located in the territory of Sangachal settlement of Baku, about 45 km south of Baku. In the 19th century, the building stopped its operation due to the loss of caravan roads. The structure includes rooms for guests and staff, as well as supporting auxiliary buildings. The main construction material of the structure is blade stone. The rectangular shape of the structure has two floors. The windows of the building, decor elements, and the structure of the building are like a fortress. Moreover, The writings on the facade of the building shows that Shirvanshah I Halilullah ordered the construction of the building in 1439-40 to develop the road infrastructure of Shirvanshahs state.